For the most part, conferences (especially when they're in popular vacation spots, like Las Vegas and Nashville, for example) are fun. So much fun, in fact, that I need about three days to recover after returning home. 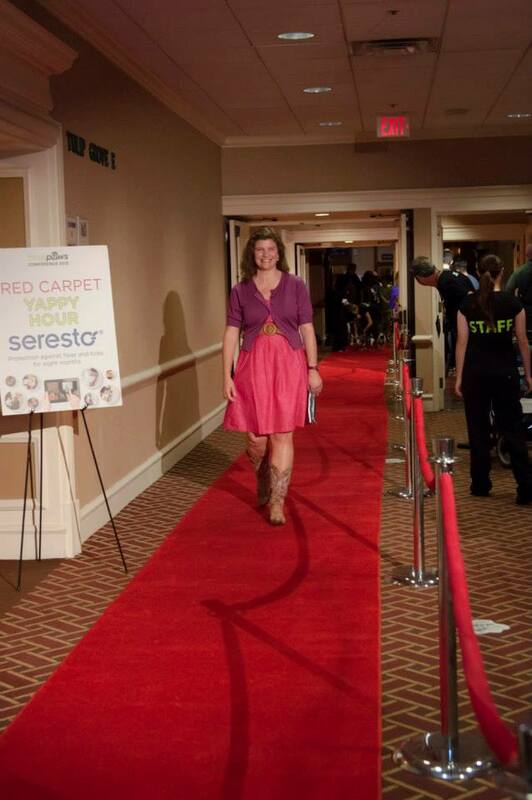 That's me, walking the red carpet before the BlogPaws Nose-to-Nose Awards gala. 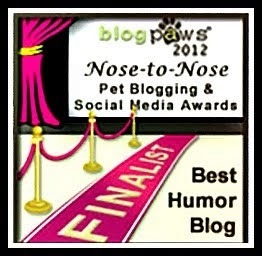 My blog was a finalist in two categories: Best Blog Design and Best Humor Blog. I did not win. ** I was, however, awarded a certificate of excellence for my blog's About page. Here is the full, live-streamed Nose-to-Nose Awards ceremony, if you care to see it. The video will start (I'm sorry, I'm just so thrilled my little blog was mentioned, I had to cut it right to the chase!) 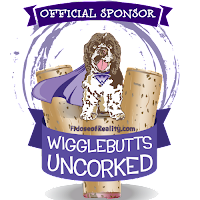 where the Best (pet blog) About Page is announced. Then there were all the pets...oh my gosh, SO many (besides my own, who were chilling at home)! Here's just a small sample (shot with my cell phone). 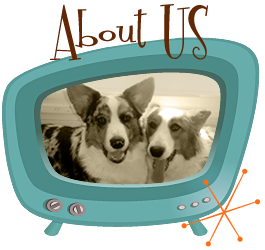 And here we have the lovely (and terribly modest) Luna and her mama, Jessica S. (fellow Virginians, I will add), from the budget-conscious and DIY dog-blog, Beagles and Bargains. Y'all, this was my fourth BlogPaws conference, and let me tell you, it takes massive will-power (and practice, I've learned) to get anything "serious" accomplished with all the critters running around! And they are all so well-behaved! That's not all. I've realized, this week, a few other (less-obvious) reasons I'm happy to be home, too. Perhaps you can relate. 1. No more loneliness in the bathroom! Seriously. I never know how much I appreciate furry potty-time companionship until I'm without it for a stretch. 3. Less-than-casual Fridays are back! OK, less-than-casual ALL the days! (Less-than-casual = pajamas or too-embarrassing-for-even-the-grocery-store sweats. Oh, and no makeup.) Hoorah! OK, what did I leave off the list, you guys? Anything? 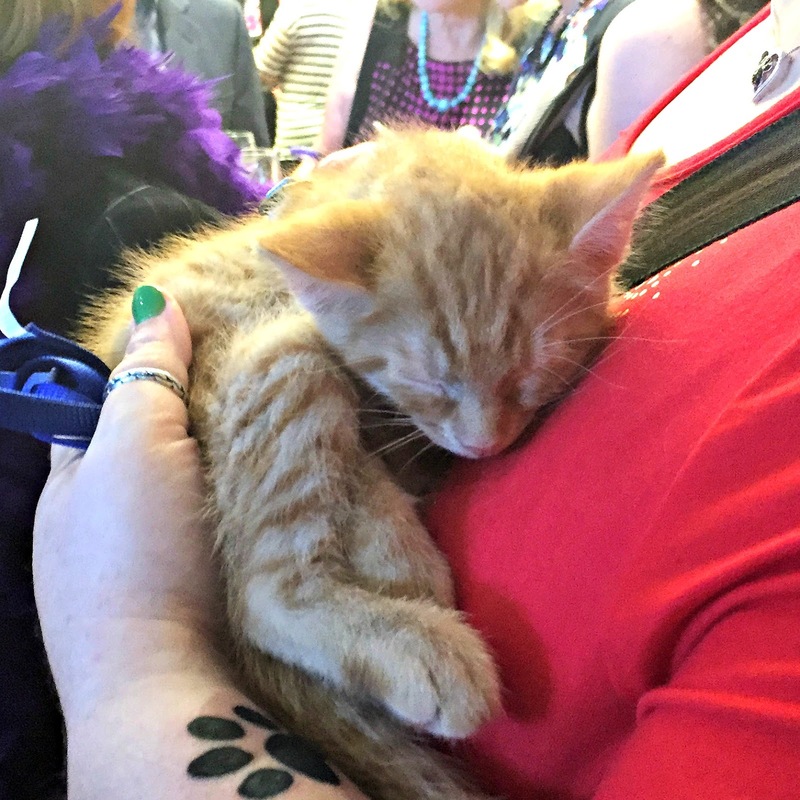 Did you go to BlogPaws (or any other conference, ever)? Why are you glad to be home? 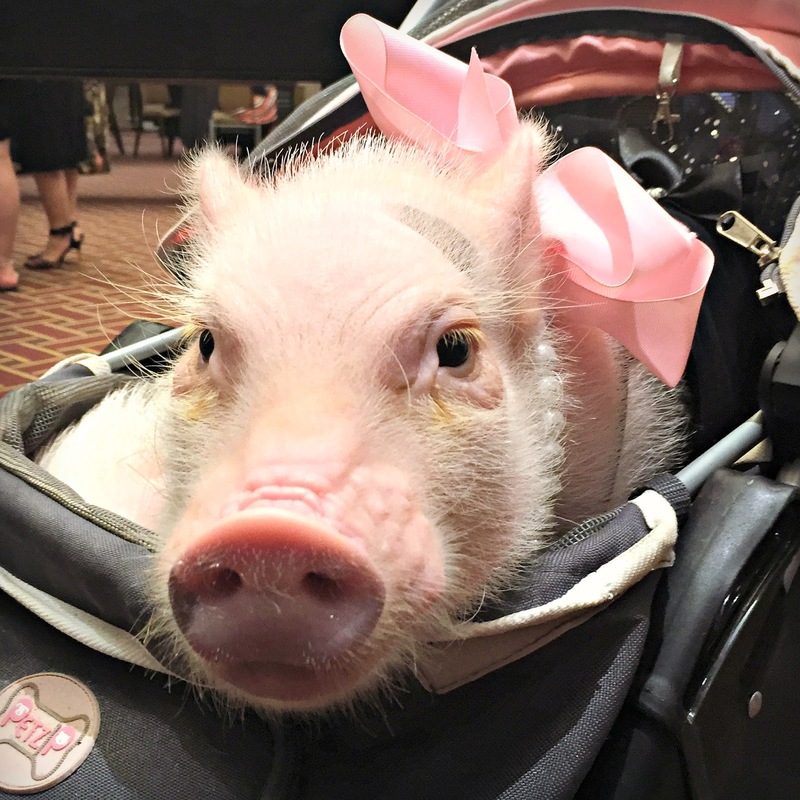 * BlogPaws '16 is going to be in Phoenix, AZ! Will you be there, too? 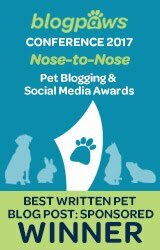 ** The Nose-to-Nose award for Best Blog Design went to Jessica W. and You Did What With Your Wiener. 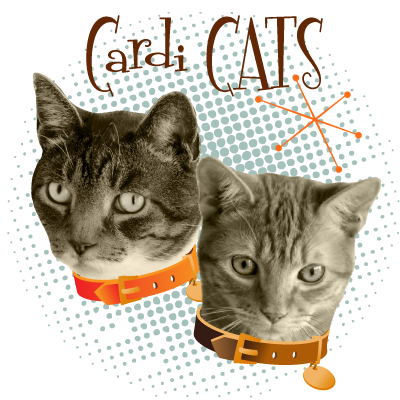 The award for Best Pet Humor Blog went to Jennifer C. and My Brown Newfies & Me. If you haven't already, check them out! Great wrapup. As someone with IBS, TW was glad for #2 otherwise she wouldn’t have gotten to any of the sessions. She was thrilled to meet you. That first photo is Miss Jeanne from Random Felines and Queso. At least I’m pretty sure than was Queso but it could have been Taquito or Salsa cos they were all present. Why can’t you edit comments? That should read “pretty sure THAT was Queso." I admit I came to to your site to check out your About Page (which is hilarious), and got sucked into reading more and more of your posts. No. 2 (is that why you numbered that one 2?) gets me everytime too and I thought I was the only one. "We love comments almost as much as Reese's Peanut Butter Cups! Thank you!" more humor! I love it. Anne, thank you and it makes me happy to know you smiled after reading a few of my nutty posts! :) You know what? I hate to admit it, but NO! I didn't even realize #2 on my list was about #2 until someone pointed it out! (That is SO unlike me. To miss something so juvenile.) And, no, you're not the only one - you should see how many Google results come up for that topic! ew! Somehow we missed the dog with the yellow flower on her privates ;) Great to hang out with you a bit here and there! Haha. :) Yes, agreed! Having time to chat a bit was a wonderful treat! The mom wants to know how she missed seeing you this year at BlogPaws?? Oh well. Congrats on your special award for your About Page. That's pretty cool. OK, now I need you to ask your mom how many of those fancy beverages she had at Glogirly's meet-and-greet. Because I accosted her on my way out the door (she must have not heard me say my name and blog over the room volume, and that's OK!). :) Thank you! Well, I had to laugh out loud at Luna's flower! This reminds me that I need to go and stalk your About Page as I haven't had the chance to do so yet. Congrats on your nominations and your certificate! I can only imagine how tiring the conference must be! Looks like fun. What a great review! You're so funny, making real life problems funny. I want to give you the biggest THANK YOU for #4 on your list, I'm forever your biggest fan because of it. You included everyday people like me!! I read blogs, comment, etc. but at these events, when I read peoples write ups about them, it sounds like an exclusive club! I can't begin to thank you for this blog, I'll treasure it, truly. Oh dear Luna's flower lol; so sad I missed the conference but it has been really fun reading all about it and seeing all the lovely photos & videos. Hope to see you next time? And congratulations again on your win for Best New Blog! I rang the cow bell Glogirly gave me SO hard when they called your name! Us too! We would LOVE to finally meet you! 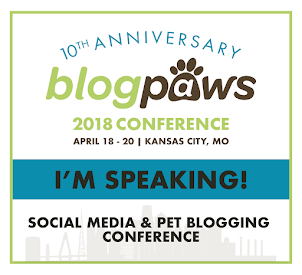 No plans to attend any of the upcoming BlogPaws, but I do still kick myself for skipping the Tyson's Corner one. Practically in my own backyard and I didn't go....what was I thinking? Sigh. You were thinking it would eventually come back to Tysons. So did I. Maybe it will one day. I am really loving getting to see the other cities, though. I don't get to travel much! What a wonderful wrap-up! It's always great to get home and get back to your "regular" routine, lol! Thank you, and yes, it sure is! Thanks for the update. I couldn't make it this year, but will see about next year. It sounded as though there were more cats in attendance this year. Congrats on your award! Now I'm tempted to do some SEO stuff and see what search terms do bring viewers to your page. If you know, you just MUST tell us! I'm so curious! Well, Jean, where would I begin with the things I rank for? 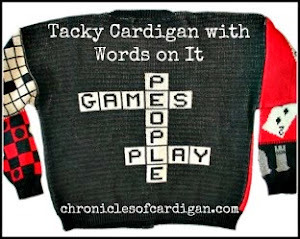 :) How about "broken dishwasher," "why do dogs sit on cats," "funny turds," "aquasaurs"....I could go on. 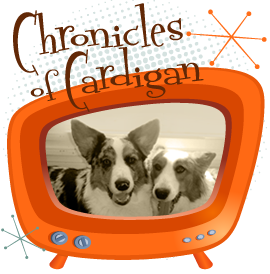 :) I also rank for my blog name, and Jon Farleigh (my fluffy corgi)! I guess that's good? Thank you for stopping by and saying "hello"! It was wonderful to see you! That picture of Luna cracks me up still! We have our tickets for next year, so see you there!